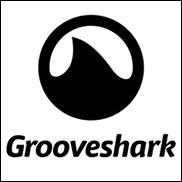 INDIAN OCEAN (Hypebot) –- It took 6 years for the major labels to put Grooveshark out of business. But it took just days for it to resurface as a site created by a team claiming to have ties to Grooveshark and offering free music. Just days after the RIAA shut Grooveshark down, its back up in a different form. Using the Grooveshark logo and a Groovesharl.io domain name, instead of the original .com, a team headed by a person claiming to be former associate of Grooveshark has put it back online. "I was connected to Grooveshark a few years back and I have, together with the team I've gathered, the knowledge and the technological abilities to bring it back to life," a person using the pseudonym Shark wrote in an email to The Verge and other media outlets. Shark says he started backing up Grooveshark when it became apparent that the labels would force it offline. He says he captured 90% of Grooveshark's content alongside a team that will eventually restore playlists and the full Grooveshark feature set. The speed with which they were able to launch may be that the site appears to be a rebranding of Swedish pirated music site mp3juices.se.